Injection mouldings count for a significant proportion of all plastics products from micro parts to large components such as bumpers and wheelie bins. Virtually all sectors of manufacturing use injection moulded parts - the flexibility in size and and shape possible through use of this process have consistently extended the boundaries of design in plastics and enabled significant replacement of traditional materials thanks to light weighting and design freedom. The table below shows the type of products that can be injection moulded, but is by no means comprehensive. BI-POWER. Large twin platen machine by Negri Bossi (up to 7000 tonnes) with low level design and energy saving electric screw drive as standard. Material is introduced into the injection moulding machine via a Hopper. The injection moulding machine consists of a heated barrel equipped with a reciprocating screw (driven by a hydraulic or electric motor), which feeds the molten polymer into a temperature controlled split mould via a channel system of gates and runners. The screw melts (plasticises) the polymer, and also acts as a ram during the injection phase. The screw action also provides additional heating by virtue of the shearing action on the polymer. The polymer is injected into a mould tool that defines the shape of the moulded part. CANBIO-ST. 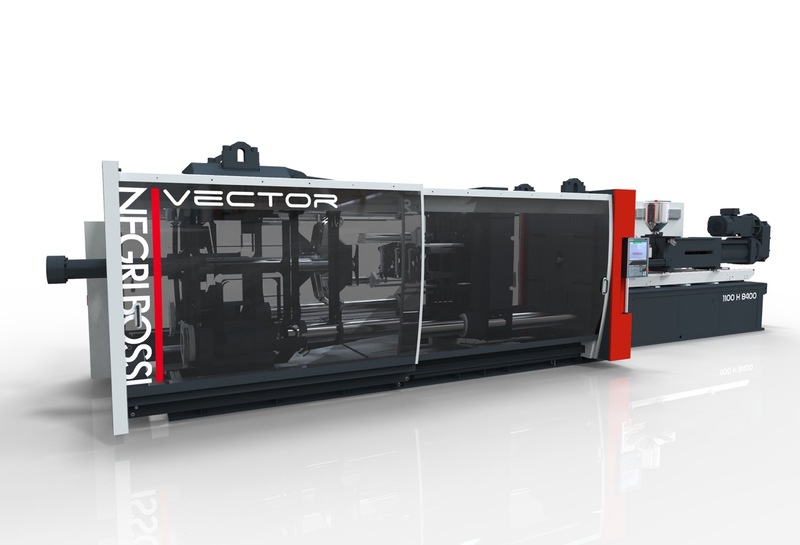 Fully digital toggle type machine range by Negri Bossi, up to 500 tonnes clamping force. 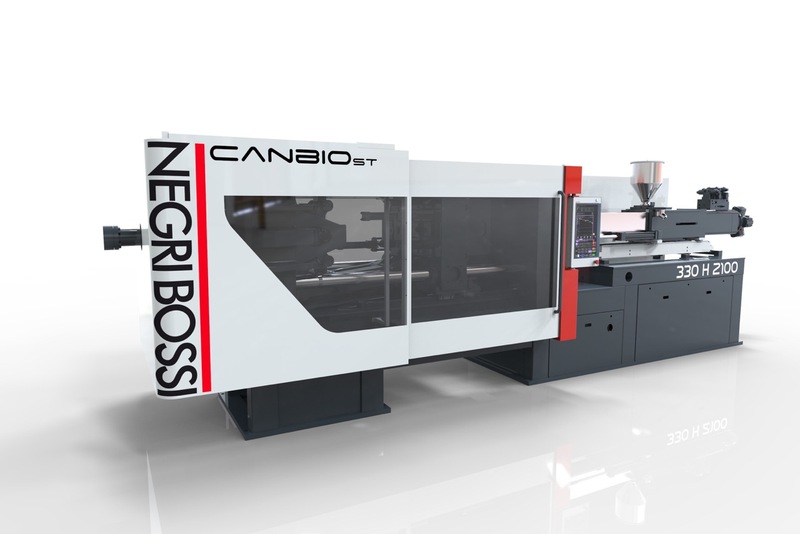 The Canbio ST machines are also fitted with the energy saving servo pump drive and have an excellent specification as standard. The tool can be used to manufacture one consistent part in a repeating process or incorporate multi cavities (a multi impression tool), that is many components can be manufactured on the same tool repeatedly with a single injection. It should be noted that, whilst in the animation the flute pitch of the screw is shown as constant along its length, in practice it varies considerably dependent upon the polymer being processed. In particular the root diameter increases from hopper to nozzle to provide compression to the melt. Variants of the injection moulding process include multi-shot (or 2K moulding) (where different materials are injected into the same mould), insert moulding (where metal components are incorporated), structural foam moulding (where the material is foamed to reduce density) and assisted moulding (where gas or water are incorporated to reduce wall thickness). On most machines the mould is held closed by a combination of either a Toggle clamping system that utilises a relatively small hydraulic cylinder or by a Direct Lock system that applies pressure directly using much larger diameter cylinder or combination of cylinders. The force generated is known as the Clamping Force, and is typically measured in either metric tonnes or in kilonewtons (KN), the conversion rate being ten 10,000 KN to one metric tonne. VECTOR. Medium to large tonnage by Negri Bossi (650 to 1300 tonnes) toggle machines with ultra-low level design and energy saving electric screw drive as standard. Injection moulding machine manufacturers sometimes quote a figure for the Locking Force of a machine. In the case of a Direct Lock machine, figures are the same as for the Clamping Force. In the case of Toggle type machines, there is a mechanical advantage that means that the Locking Force is around ten percent higher. In a large machine the Locking Force can be up to thousands of tonnes and is spread over the area of the mould. To counteract the injection pressure, a moulding with a large surface area will therefore need a machine with a higher locking force than a moulding with smaller surface area. Other factors such as a thin wall section can also require a higher Locking Force than typical, this being to counter a higher injection pressure being required to fill the mould. There is however a direct correlation between the Clamping / Locking force of a machine and both its physical size and purchase price. 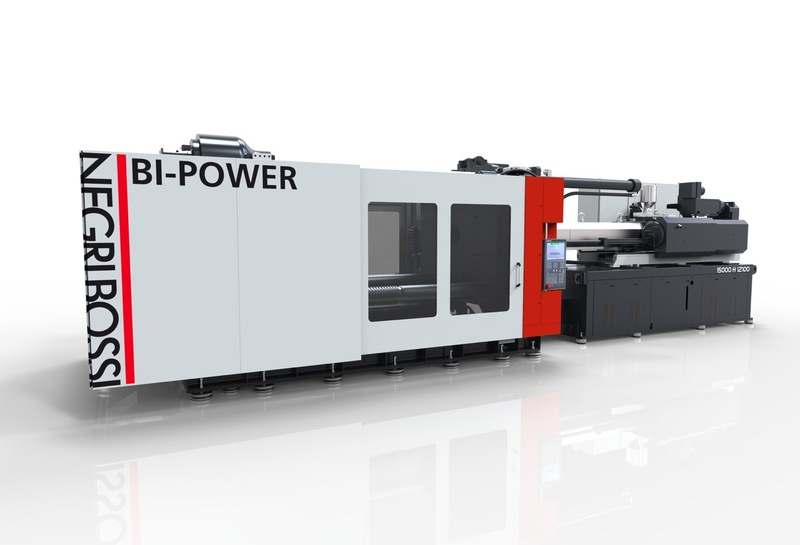 Machines can be specified with a choice of injection unit size, smaller injection units providing better accuracy if relatively small components are being produced for the size of machine. A good example would be the production of automotive components, where it is often the large and complex mould tools that dictate that a higher tonnage machine is needed for its physical size, rather than its maximum Locking Force. Within each specified size of injection unit, there is also a choice of injection screw diameters. The larger the diameter of screw that is fitted, the larger the maximum ‘shot weight’ of plastic that can be generated will be. There is however a proportional reduction of the maximum injection pressure that can be generated. This is going to be less critical if large components with relatively thick wall sections are being produced using plastic materials that are of lower viscosity. If you are looking for a product or a moulder, please complete your details below and the BPF will send the detail, on your behalf, to the most relevant companies within the plastics industry who will contact you directly with more details.